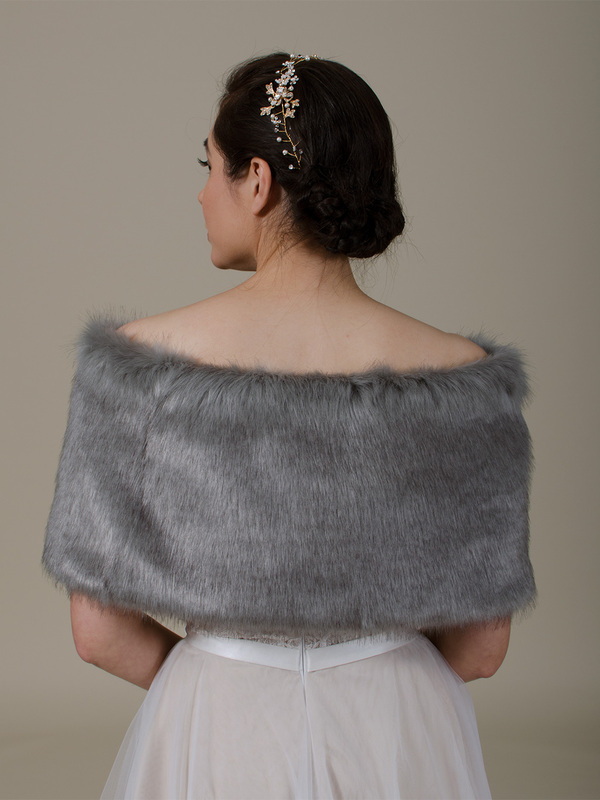 This is a beautiful silver color faux fur bridal wrap shrug which is fully lined. 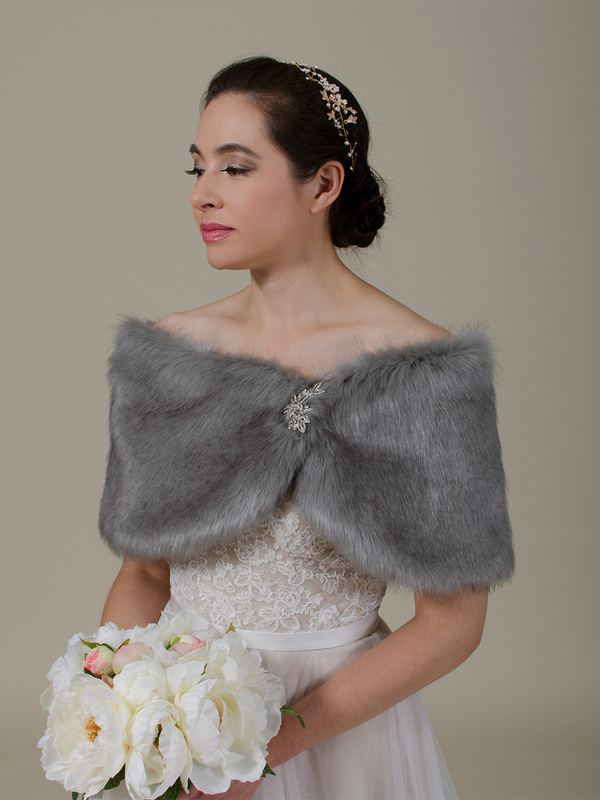 It is made of the high imitation of real fox fur with darker tips. 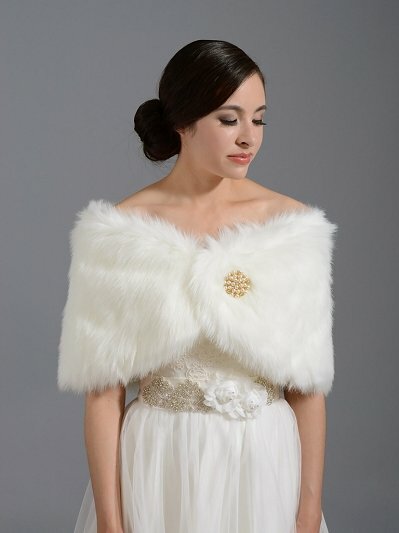 It's perfect for your wedding or other special occasions. Please note the brooch is not included.